You know the saying, “when in Rome, do as the Romans do.” The same applies to Hawaiian vacations. Have you ever traveled where most eateries are familiar chain restaurants? Vacation is a time to indulge in exotic dishes. So try new flavors and do things out of the ordinary. And then eat like the locals do. Here are the culinary tours in Hawaii where you can do things like this. 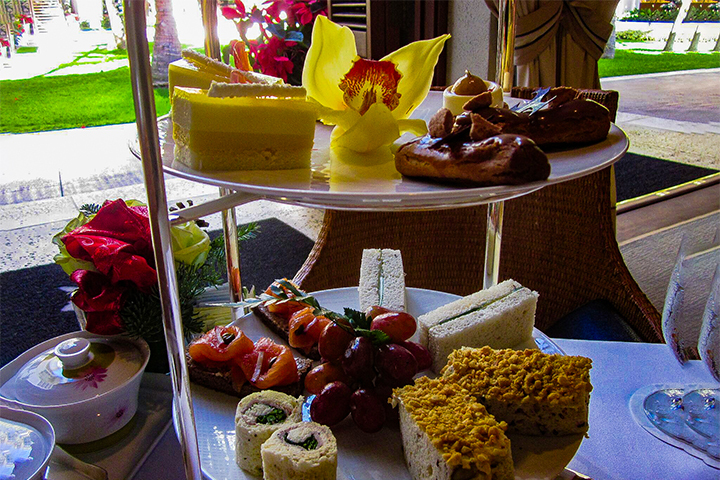 There are a number of notable culinary tours in Hawaii. Each island brings a different experience to the table. And they will provide an unforgettable experience. We have listed below a collection of tours worth considering for your trip to Hawaii. It’s your vacation. So eat, drink and be merry, Hawaiian style. On Oahu, there will be countless culinary tours at your disposal. Hawaii Food Tours might offer the most comprehensive culinary tours in Hawaii. Their most popular Hole in the Wall Tour occurs daily from 9:00 am to 2:00 pm. You can visit Japanese favorite Sugio Bento and Catering for a flavorful plate lunch. And then try delicatessens with a distinct international influence, like Liliha Bakery, famous for their chocolate éclairs. Or stop by Chili, an award-winning hot sauce shop for unique dishes off the beaten path. Hawaii Food Tours also offer a North Shore Tour. It departs Tuesdays and Wednesdays from 9:00 am to 5 pm. The tour features plantation visits, authentic Hawaiian food, unique roadside snack stops and decadent pastry desserts. For lighter fare, the Flavor of Hawaii offers a Gourmet Waikiki Tour of seven restaurants and award-winning eateries. Here, those 21 and up can enjoy various cocktails, drinks and unique appetizers on this famous beach location. 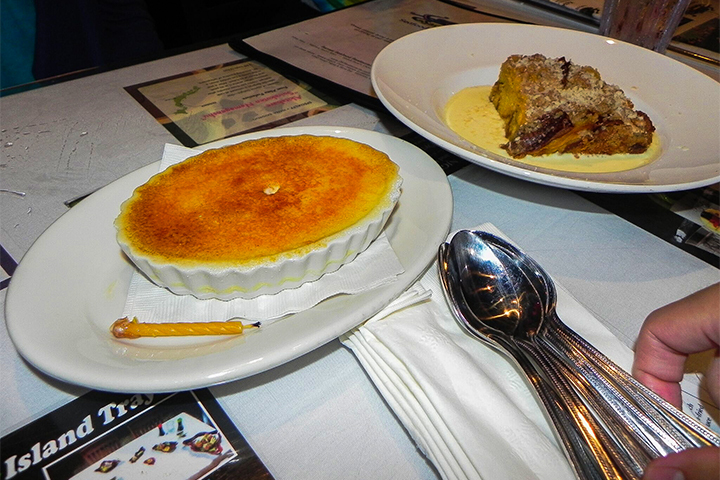 The more substantial Kailua Food Tour stops at six different restaurants. Here, you can sample fresh ahi poke, hibachi fried rice, garlic chicken, sweet malasadas and chai shakes. This tour lasts around 3 hours. Aloha Food Tours offers many tour choices. Its Ala Moana Area Local Food Tour features red-velvet waffles, taro cream cheese and taro lattes, steak rolls, garlic chips and spam musubi. The Best of Chinatown Tour highlights some of the best ramen, pork bao, shrimp and smoked bacon pho. Venture out on the last Friday of every month in Kaka’ako for Eat the Street. Here, visitors can join the thousands who come to try unique street food and dishes from gourmet food trucks. Maui Culinary Tours targets those who want to experience farm-to-table dining experiences. Visitors can try the Food and Agricultural Tour. Here, they can visit local ranches and farms and dine at locally owned restaurants. This tour features Hawaii grown beef, produce, freshly caught fish and local pineapple wine. This experience is available Tuesdays and Thursdays from 12:00 pm to 6:00 pm. Local Taste of Maui Tours offers eager foodies a different tour for each weekday. The Paia Culinary Tour includes numerous food stops and a trip to the 105-year-old Paia Sugar Mill. The Lahaina Culinary Tour visits 11 restaurants and eateries in the center of the historic whaling town. Here you can try fresh beef, salted pork, poi, fudge and macadamia nut pancakes. You will certainly have a lot of flavors to enjoy by adding a culinary tour your Maui vacation package. Why not take a tour right into the heart of some of the best authentic Hawaiian food? A great starting point is the Hilo Farmer’s Market. It’s held twice a week on Wednesdays and Saturdays. Here, you can try locally grown tropical fruits and fresh vegetables. The Big Island offers a wide range of local produce. So you are sure to find a wide array of Hawaiian delicacies to taste on the Big Island. Interested in immersing yourself into Hawaiian food culture by experiencing them in local homes? If so, the Home Tours Hawaii offers what it describes as a “culinary adventure.” This begins as a gourmet four-course progressive meal in one of three homes in Kailua-Kona. Explore all the open rooms. Then sit down to a beautifully arranged courses before heading out to the next home to visit. There are over a dozen homes in the roster. As a result, returning guests are sure to try new dishes. Tours are given Monday through Saturday, from 7:45 am to 12:15 pm. Kauai offers tours for visitors interested in the process of growing produce and raising livestock in Hawaii. The Farmer’s Market Tour is offered weekly introducing visitors to farmers who grow food on Kauai. Tasting Kauai also offers its monthly Farm-to-Fork Tour on the East Side of Kauai. Here, people ride a train, tour a plantation, feed animals and learn about farming. Visitors can sample tropical fruit salad from produce grown right on the Kilohana Plantation. Then they can take a trip to the Kauai Marriot Resort in Lihue. Here, they watch a gourmet chef create dishes from an organic garden. Some of the plates include Kauai shrimp, homemade herb pasta and Kauai coffee cheesecake with poha berry sauce. Then travelers can visit the nearby pub The Feral Pig. And then, they can sample the feral burger with pork belly bacon and caramelized onions. Its wide variety of cocktails is sure to satisfy every palate. Inside Kanemitsu Bakery and Coffee Shop on Molokai. Molokai and Lanai do not offer culinary tours. But visitors can still enjoy unique food samplings by going to the Ohana Poke Market on Lanai. Here, visitors can buy the freshest fish and try delicious poke bowls. Visitors to Molokai can buy fish from local fishermen or relax at some of the low-key friendly local restaurants. 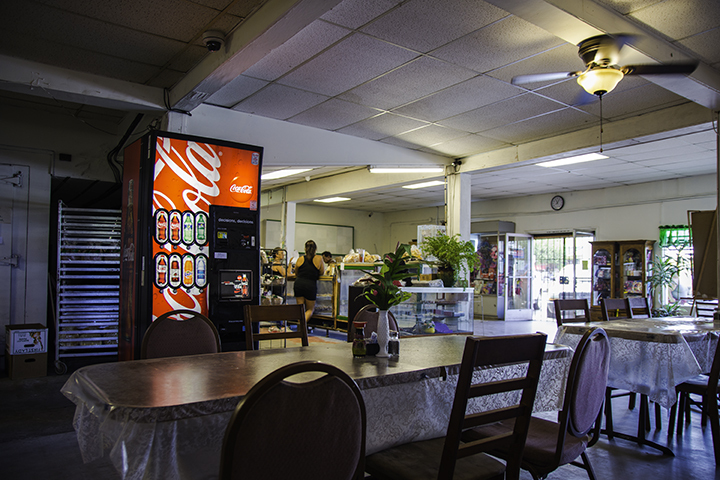 Examples include Kanemitsu Bakery and Coffee Shop, Molokai Pizza Café and the Cook House. Delicious Hawaiian food is readily available on every island. Why spend precious time searching when a tour guide can show you the way? For many, culinary tours in Hawaii are the best ways to sample the best foods in the Aloha State.